True or False? I am hungover at work today? I never go out during the week, because as I mentioned HERE, being at work hungover is the worst thing on earth! When will I learn? True or False? I Face Timed everyone and their mom's last night and no one answered. Embarrassing! Face Time brings drunk dialing to a whole new level. True or False? 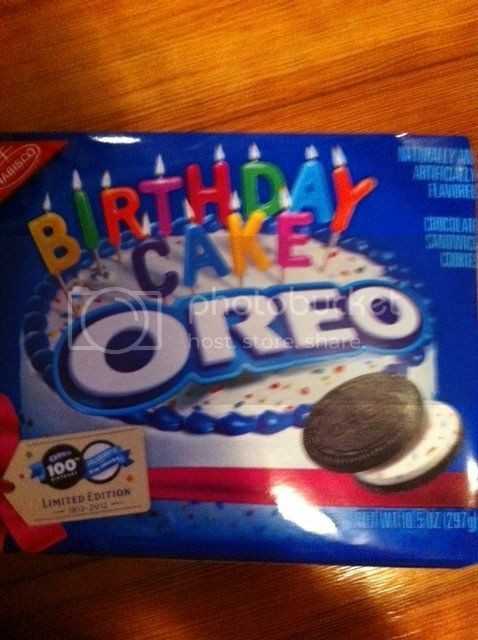 I ate Birthday Cake Oreo's for Breakfast? Ok...I woke up a little hungover and just couldn't resist! They were calling my name! Guilty! At least all of this chocolate is sure to wake me up this morning! HA I'm so disgusting! True or False? I am wearing open toed shoes? True! It's only 40 degrees in Boston today too! Oh well! True or False? I will win the Mega Millions jackpot tonight! True or False? I am jumping into bed as soon as I get home tonight! True or False? I turned down a job offer this morning, because the offer was too low! True or False? You want me to stop saying True or False right now? You LOVE this game don't you? awesome! I laughed very hard! We also live in Boston :D! !